May 7th, 2013 | News and Events, Wheaton World Wide Moving. Think about a house full of furniture. How easy is it to vacuum under that couch or mop under a kitchen table? When’s the last time you swept under your King-size bed? The answer, if you’re like most Americans, is rarely. Not only is it hard to maneuver around big pieces of furniture, but it’s also very time-consuming. There are, no doubt, many obstacles and hurdles about moving. One advantage about moving though is you get to start fresh. You get a clean slate. When you move in to that new house, there’s no furniture yet. There’s no huge bed or dining room table taking up space. That loveseat hasn’t come through the front door yet either. Wheaton World Wide Moving is practical and recommends that you quickly clean your house before bringing in the whole kit and kaboodle. You’ll get a head start and it will be easier in the long run. Plus you might feel better knowing the house has been cleaned. After all, you might not know who lived in the house previously to you and everyone might feel more at home after giving the house a good scrub down. Wheaton has a slew of moving tips that we’d love to share – and we’d love for you to share with us! 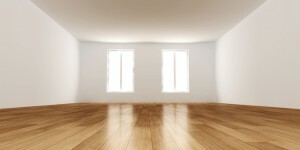 Do you have a picture or story of a cleaning experience due to moving? Either on your way out of your old house or in to your new house? Feel free to comment on the blog or share via our Facebook page or Twitter. Thanks for all the great advice, this is really good to know! I think everyone is just in such a rush to move everything in they don’t take the time to clean. Glad you enjoyed these tips! If you liked these tips, check out our cleaning and storage boards on our Pinterest page: http://www.pinterest.com/wheatonmoving/!